How To Find Out "What Works"
So often I'm asked by people how to ensure what they give their dollars to "works" to make the change the hope to see. Since most of my clients do not choose (or have the resources to) invest in double-blind evaluations, I suggest they seek out how others have determined "what works,"
This can be done simply. One way is to keep your eyes open when you read the newspaper. For example, here's an article in the Seattle Times that explains how research has shown how music affects children's brains and their ability to learn. The New York TImes even has a regular column called "Fixes" that looks at solutions to social problems and explains why they work. Another example: a Washington Post article that reports on a Harvard University study showing that economic mobility hasn't changed in 50 years -- and what might make improve people's journey upwards. Other foundations that do spend resources to evaluate and research are other resources. For example, the Paul G Allen Family Foundation's Disrupting Poverty:Coming Together to Build Financial Security for Individuals and Communities can offer many strategies you may wish to fund. Consulting groups often make papers available to the public. For example, McKinsey released a report on obesity and how to tackle it. These kinds of resources are easily available, free, and suggest strategies that you can feel good about funding. Now your next job is to find the nonprofits that use the methods suggested in research...something I'll talk about in my next blog entry. How to involve your children when they're busy or just not interested? 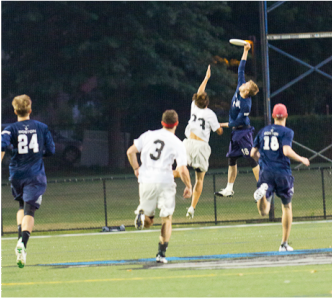 Playing Ultimate frisbee vs. attending the family foundation meeting? You may not be able to do anything but accept that fact. Just because the activity is a worthy one doesn’t mean that your children will find it (a) interesting, (b) something they are willing or able to make time for, or (c) turn them into mini-philanthropists in their own right. And if wails of "Mom always liked you best!" echo through the hallways at family gatherings now, don't expect that to change just because this is a "good deed" activity. I've worked with dozens of donors who set up their foundation with the primary goal of forcing, er, providing an opportunity for their children to work together in order to build strong family bonds. It's not always that simple. There are several things that can help. Most of them require that you, the donor, cede decision-making power to your children. Yes, I know that can be difficult for donors. But if your children's involvement is most important to you, it's a step that must occur. First, if possible, bring on all your children. Showing favoritism can lead to major issues. Additionally, if the board of directors of the family foundation consists only of you, your spouse, your long-time financial advisor and and your attorney, asking an 18 year old or even a 30 year old to hold their own in a discussion among such old fuddy-duddies is asking a lot — unless you provide them with a cohort that can amplify their voice. To address this try to bring on more than one younger generation trustee at a time. Second, be flexible.Your children (or grandchildren) are busy trying to get their start in life. And they may not have the ability to take time off work for a meeting during the week — or afford a babysitter for a weekend. Schedule the meetings to make it easier for their schedule rather than yours and if there are costs involved (travel, etc.) that are a hardship for them, consider covering their expenses. Third, be sensitive to the time crunch. Younger folks with children or exams have much less time available for outside the home activities. Allow them to take time off or elect to serve or not each year and still come back the following year. If board service becomes a burden and you make it clear that you believe your children aren't pulling their weight, you'll risk losing them completely from the foundation's activities. And you'll appreciate the leave policy when you need that hip replacement or long vacation! Lastly, jointly make a decision about how you'll make decisions. It is very common for everyone else on the board to defer to the matriarch or patriarch. Give the next generation an equal say in what the foundation funds, which criteria it uses to make choices, and how it evaluates its successes and failures. Engage the next generation: how young is too young? It's never too soon to introduce caring about others and the community. Your kids will imitate your actions so let them see you engage. It takes time, but it is quite simple. As you go about your charitable and community building activities, bring the kids along. At a certain age, they can be plopped at the back of a board room with crayons or an iPad. They won't hear or understand much (or anything) that is going on, but they will recall that their parents find it important to be involved in community activities. Make it a family event to volunteer — collecting tickets at the PTA carnival, serving a meal at the homeless teen center, participating ​in clean-up day at the local park or beach. Volunteering as a family reinforces shared values. ​When you think the time is right, provide a small amount — $100 - $500 — to your children and have them work together to determine where it should be donated. (A good way to learn how to make decisions — and compromises.) You can even ask fellow foundation trustees, other family members or good family friends to serve as philanthropic mentors to your kids. There are some formal youth philanthropy programs where teens serve on grantmaking boards. Youth Philanthropy Connect is a national organization. Community foundations and Social Venture Partners are two places to look locally for these (the links lead to examples in Seattle), or go to Learning to Give for other ideas. Everyone wants their investments to be successful and your desire for your charitable donations is no different. A common question asked by donors and trustees is, "How do I know I'm making a difference?" The best way to discover the answer to this is to answer a different question first: "What are you trying to accomplish with your family's foundation?" If you do want to practice effective — and rewarding — philanthropy, then answering that question is your first step. Some examples? You get the idea.There are so many worthy goals.But the simple act of choosing a goal allows you to make all your following decisions so much easier and it gives you a chance to achieve something worthwhile. I’m going to let you in on a secret.Unless you are giving millions of dollars and pay for double blind longitudinal evaluations, you can’t truly know you’re making a difference. But don’t give up! There are many ways you can use proxy data to help guide your giving decisions to increase the odds of effectiveness. How? I want to be a philanthropic…how do I start? ​Congratulations! Giving to your community is a worthy goal. You know, you've already likely achieved that goal. Do you volunteer at your local food bank? Give to your church, synagogue, mosque, meeting house, etc? Serve on the board of a local non-profit organization? Call yourself a philanthropist or good citizen, or nice person? May I suggest that you go beyond this to wanting to be effective with your philanthropy? If you don't want to, then you should keep doing what you're already doing and stop reading this. You don't need me. “I want to help people who’ve hit hard times find and keep jobs. You get the idea. There are so many worthy goals. But the simple act of choosing a goal allows you to make all your following decisions so much easier and it gives you a chance to achieve something worthwhile. Help! I'm drowning in paperwork! I will always tell you not to start a private foundation without a really good reason! Because the fact of the matter is that private foundations take a lot of work. First of all, each structure you choose has its accompanying required paperwork. Checkbook philanthropy requires that you keep a copy of your check and receipt for your taxes. Donor advised funds have set-up, investment and grants lists paperwork — but the entity in which you've created your DAF prepares these. Private foundations have to fill out tax returns, grant agreements, minutes, declination letters, investment and conflict of interest policies, application forms — and that's just for starters. No wonder you're drowning! First of all, identify which pieces of this work you actually enjoy (if any). Keep those. Then outsource the rest. It can be just that simple. Your attorney and investment advisors likely have policy templates. Hire a college or high school student to file papers and send out declination letters. Engage a consultant to draft guidelines, application forms, and other letters. Post a website — it can be done for free at the Foundation Center — and make sure your application information and deadlines are up to date and available to the public. Divide the tasks among your trustees or bring in the kids and grandchildren to do some of it. Hire or outsource your program officer and grant due diligence work. And most importantly, don't ask for more information from grant applicants than you actually use to make decisions!